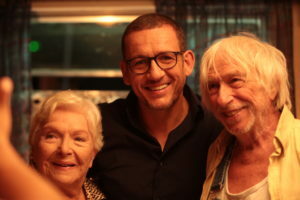 Dany Boon’s Bienvenue chez les Ch’tis (Welcome to the Sticks), turned into a box office sensation to become France’s second-highest-grossing ﬁlm. This follow-up ten years on has the comic once again playing a heavily accented man from the North who has completely buried his origins under a layer of Parisian smugness. As a fashionable designer, Valentin (Boon) is about to celebrate a retrospective of his work. Little does anyone know that Valentin, who claims to be an orphan, actually hails from a family of scrap car dealers who spend their time drinking, ﬁghting and speaking in a slang that requires subtitles, even for the French. After a car accident Valentin wakes up with a heavy case of amnesia: His Parisian persona is forgotten and the Ch’ti in him returns for a roller-coaster of fun and frolics.